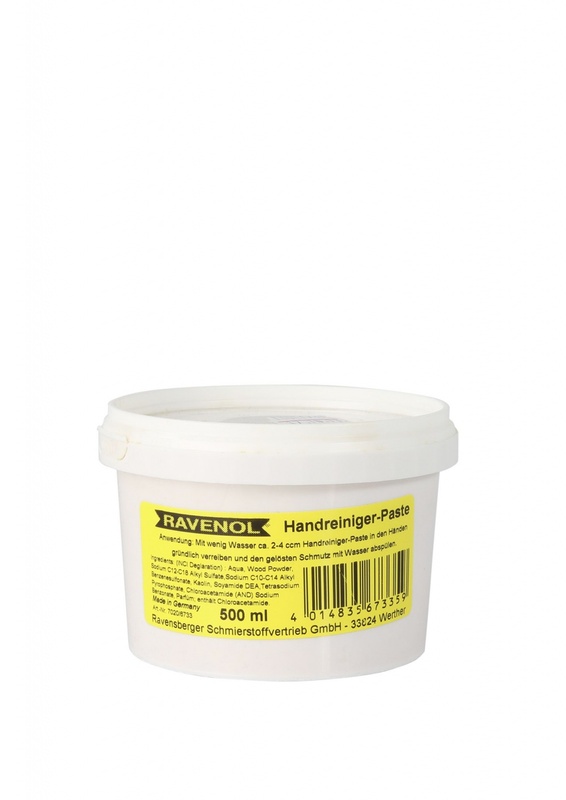 RAVENOL Hand Cleaner is an environmentally friendly , fresh smelling and very effective hand-cleaner which quickly and efficiently removes oil and grease, whilst protecting and nourishing the skin. Instead of fine plastic particles as with many hand cleaners, this product uses very fine sawdust which is easily rinsed off, prevents drains from clogging and helps to protect the environment. 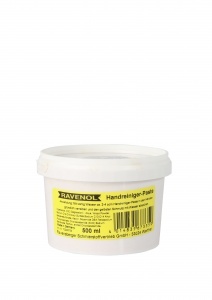 Put about 2-4 cc RAVENOL Hand Cleaner into your hands and rub thoroughly together to produce a fine foam. Then rinse the loosened dirt off with water, dry your hands - done!